Bournemouth signed David Brooks from Sheffield United on July 1, 2018, as reported by the BBC. According to the Bournemouth Echo, the Cherries paid a fee that could rise to £11.5 million to secure the attacking midfielder’s services from the Blades. The figure represented a fairly hefty outlay for a player with no previous experience of top flight football. However, Eddie Howe clearly considered the 21-year-old to be worth the gamble, believing he could make an impact at Premier League level. The nine-cap Wales international made his Premier League debut for Bournemouth in a 2-0 win over newly-promoted Cardiff City at the Vitality Stadium on the opening day of the campaign. Brooks scored his first league goal for the club against Crystal Palace on October 1. The attacker has now scored five league goals so far this season, and has also registered three assists, as per Transfermarkt. With 21 appearances under his belt – 20 coming as a member of the starting XI – Brooks has well and truly established himself on the south coast. According to the stats on WhoScored, so far this season in the Premier League, Brooks has averaged one key pass per game, and a respectable 72 per cent pass accuracy rating. 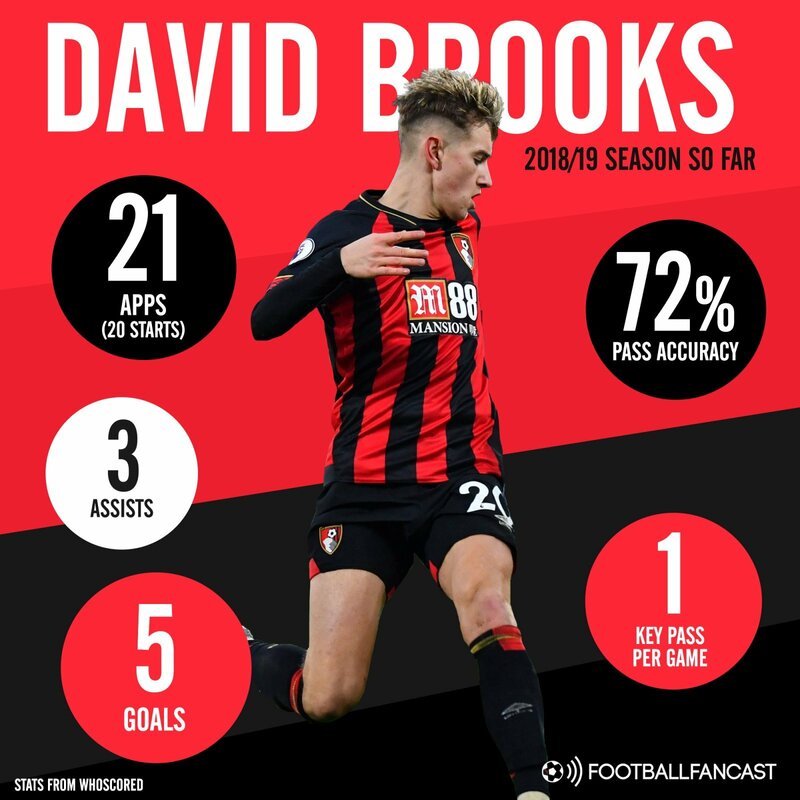 Those stats highlight how quickly and effectively Brooks has integrated himself into Bournemouth’s impressive attacking unit, where he thrives alongside the likes of Callum Wilson, Josh King and Ryan Fraser. The Welshman must still improve his defensive contribution, and he is occasionally too lightweight in possession, and can be bullied by opponents. However, Brooks’ impact in the top flight this season has been remarkable, and Howe’s summer gamble has well and truly paid off.